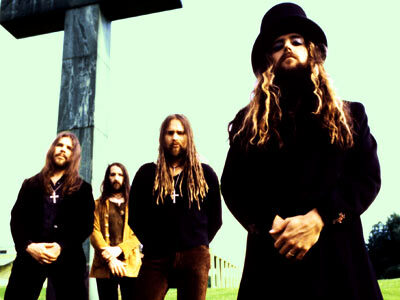 Bigelf Biography, Discography, Music News on 100 XR - The Net's #1 Rock Station!!! Psychedelic-tinged Hard-Rock outfit from Los Angeles, California USA, which originated in the mid-'90s and gained a contract through their sizeable following in the underground circles. 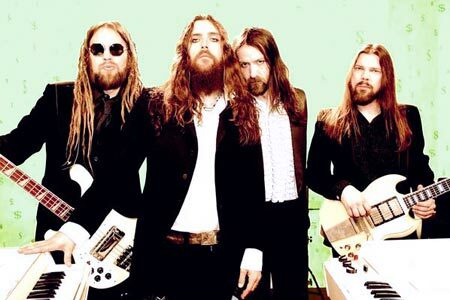 Bigelf's original line-up included Damon Fox on vocals + guitar & keyboards, Andrew H.M. Butler-Jones on guitar + vocals, Richard Anton on bass and Thom Sullivan on drums. The quartet soon released "Closer To Doom", the disc eventually established themselves as founding fathers of the psychedelic doom movement that spawned the L.A. Stoner-Rock scene. The first line-up change came when bassist Repe Lumikumpu replaced Anton; afterwards, Sullivan left to join The Exies. By the turn of the century member Lumikumpu left to pursue other interests. Continuing on as a three-piece, in 2000 the band released "Money Machine". Bigelf signed to Record Heaven, a Swedish label, releasing "Hex" in 2003 and then introduced thier new bass player, Duffy Snowhill. The band attained cult phenomenon status overseas, most notably in Europe and the Scandinavian homeland of Butler-Jones and Snowhill. 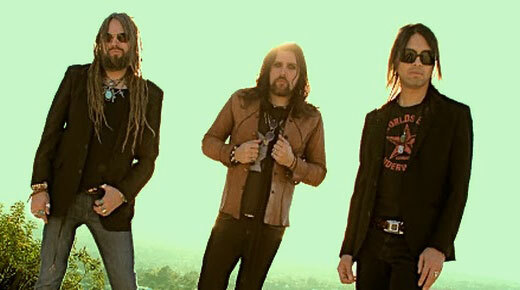 August 2008 saw Bigelf release "Cheat The Gallows", the band's debut release for Linda Perry's Custard Records. It included the lead single "Money It's Pure Evil". But due to lack of commercial success the band nearly dissipated. Thankfully, eccentric frontman Damon Fox found a kindred spirit in famed drum god Mike Portnoy, with whom he'd bonded with in 2010 when Bigelf toured with Dream Theater. In April 2013 the prog-Rock powerhouse outfit signed a deal with InsideOut Music label and Fox, Snowhill, Portnoy and new guitarist Luis Carlos Maldonado started to work on a new album. Bigelf's fifth studio album, "Into The Maelstrom", will be released on April 1, 2014.